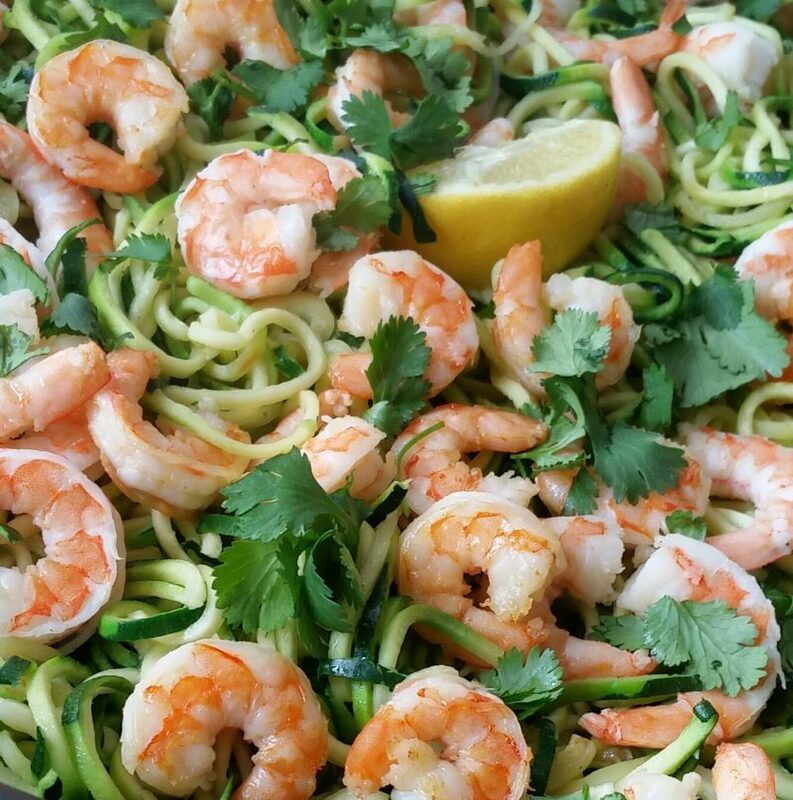 Sprinkle a pinch of sea salt over raw zucchini noodles. Set aside. 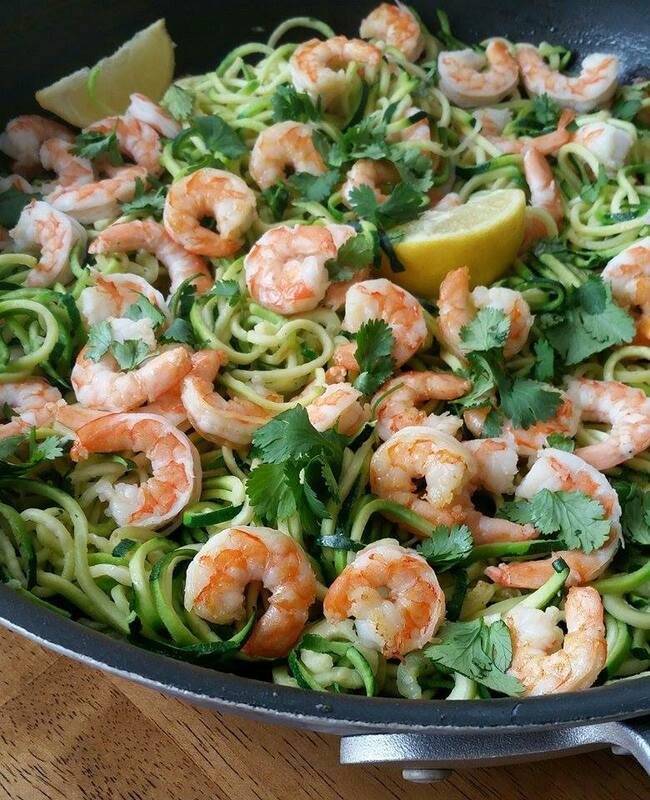 Add your raw shrimp to a non-stick skillet (medium-high temp, preheated) with about a tablespoon of oil & fresh minced garlic. Cook the shrimp for about 3 – 5 minutes until they are cooked through. Set aside. 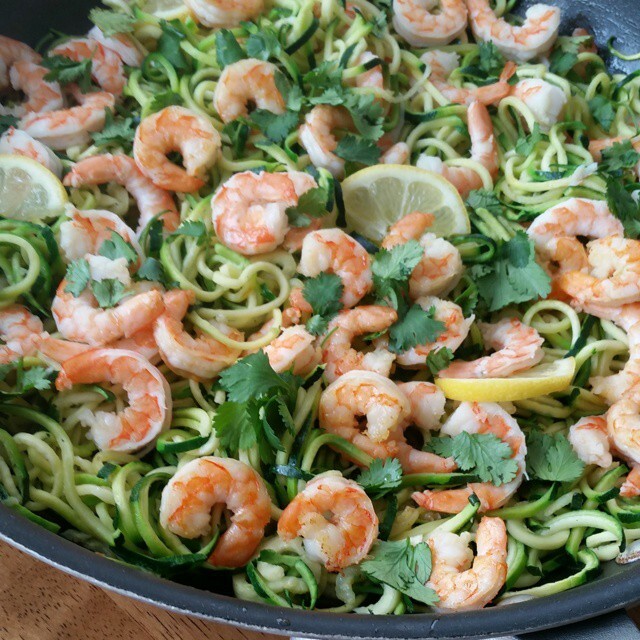 Add zucchini noodles to large HOT skillet, toss/sauté for about 3-4 minutes. Add cooked shrimp, cilantro, & fresh squeezed lemon. Cook another minute or two to heat through. Season with a touch of sea salt and pepper.